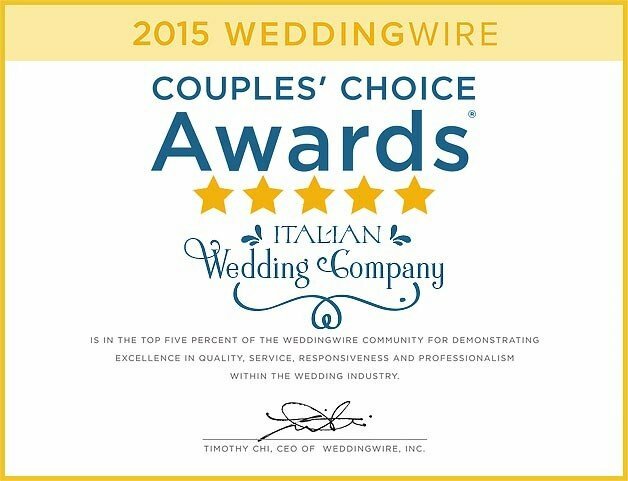 We proudly announce that WeddingWire, USA’s leading online wedding marketplace, named Italian Wedding Company and all its partner sites as a winner of the prestigious WeddingWire Couples’ Choice Awards® 2015 for Wedding Planning Services in Italy! 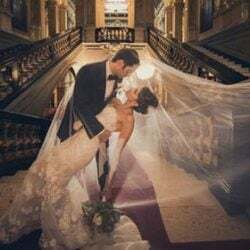 The WeddingWire Couples’ Choice Awards® 2015 recognizes the top five percent of wedding professionals in the WeddingWire Network who demonstrate excellence in quality, service, responsiveness and professionalism. 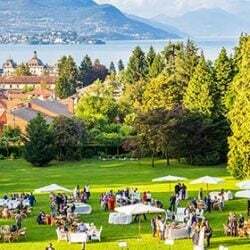 The esteemed awards are given to the top local wedding vendors in more than 20 service categories, from wedding venues to wedding photographers, wedding planners etc based on their professional achievements from the previous year. 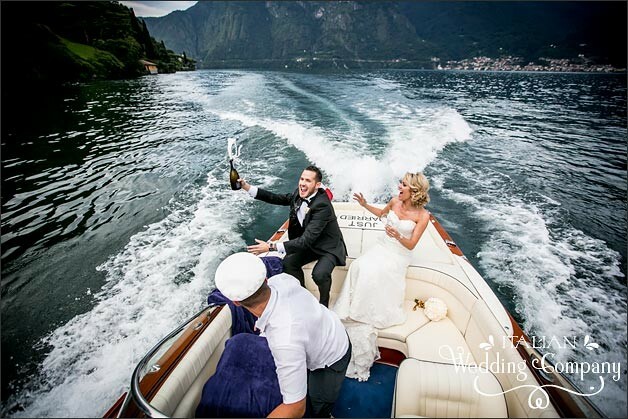 While many industry award winners are selected by the host organization, the WeddingWire Couples’ Choice Awards® winners are determined solely based on reviews from real newlyweds and their experiences working with Italian Wedding Company. Award-winning vendors are distinguished for the quality, quantity, consistency and timeliness of the reviews they have received from their past clients. “It’s always exciting to start the year by honoring the top-rated wedding professionals within the WeddingWire Network who represent more than two million reviews on our website” said Timothy Chi, CEO, WeddingWire. “Each of the businesses recognized are committed to quality, professionalism and all around top-notch service. 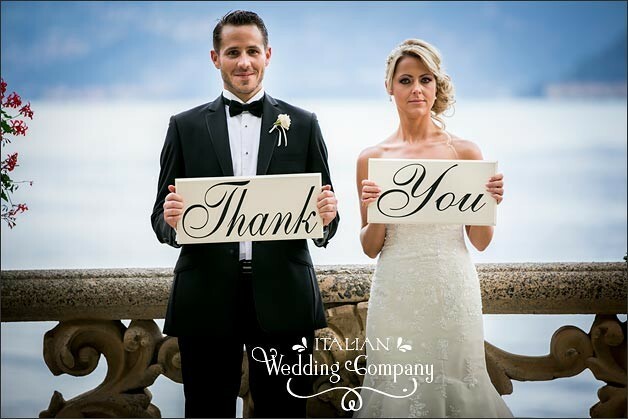 We applaud Italian Wedding Company for their impressive achievements within the wedding industry”. 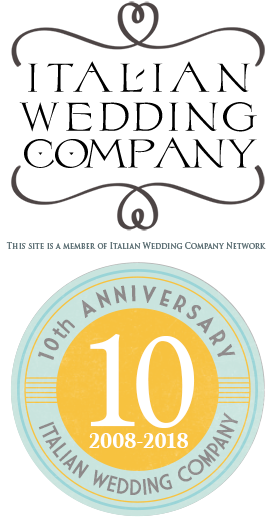 As a Couples’ Choice Awards® winner, Italian Wedding Company is highlighted within the WeddingWire Network, which is comprised of more than 200,000 wedding professionals throughout North America and abroad. 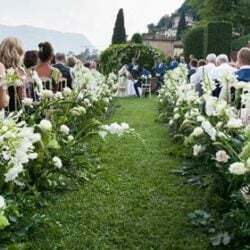 We are proud to be one of the top Wedding Planning Services in italy in the WeddingWire Network, which includes leading wedding sites such as WeddingWire, Project Wedding, Brides.com, Martha Stewart Weddings, and Weddingbee. We would like to thank our couples for taking the time to review our business on WeddingWire. We value all of our couples and truly appreciate the positive feedback that helped us earn the WeddingWire Couples’ Choice Awards® 2015. Writing a review on WeddingWire is easy. Our planners send an invitation through WeddingWire channel and couples are free to write their words and score the service they used. We are glad that our work and passion led us to this wonderful success. 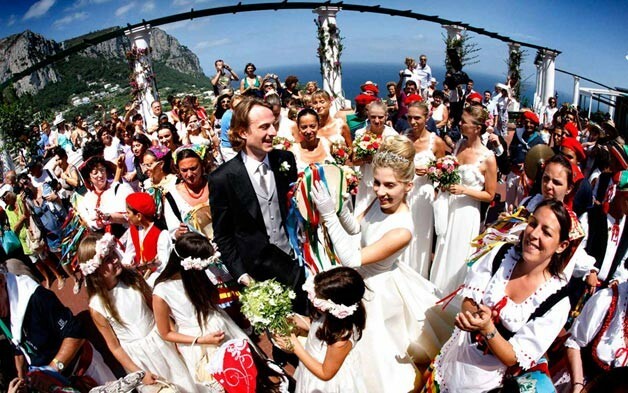 For more information about Italian Wedding Company on WeddingWire, please visit our WeddingWire Storefront today. To learn more about the Couple’s Choice Awards®, please visit this page. Thank you again to all our couples This is a great way to begin a challanging year! So stay tuned for new events and new reviews! We will work to reach more successful goals and made our couples even more happier of their choice! A very special thanks to photographers that gave us these great shots you can see here: Studio Morlotti and Cristiano Ostinelli.